SIGMADESIGN is a product design, development, and engineering services firm. Among other services, the company provides industrial design, quality assurance, testing, and engineering support, in addition to end-product manufacturing. 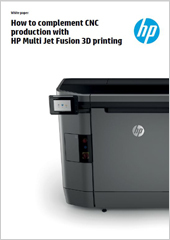 Download the case study to learn how HP’s 3D printing technology lowers the cost of manufacturing industrial equipment.